Discussion in 'Panasonic' started by OscarSV, Apr 12, 2019. I'm only 38 and never worked as pro electrician, but during all my known previous lives (5 or 6 times, total 350+ years) I have been marine (sometimes sub-marine after my repairs) electronics electrician. And I can tell you, guys, wattage and amperage are both nothing versus resistance. ...wattage and amperage are both nothing versus resistance. That depends upon the resistance of the body parts involved. kode-niner, UNCNDL1 and toughasnails like this. For readers confused about the right power supply and all....there is a label on the bottom of the toughbook. Meanwhile, these guys are talking about real life issues and answers. Working with battery power (not the toughbook battery) you get very interested in your usage rates. I live off-grid and have a meter on the INSIDE of the house. toughasnails and UNCNDL1 like this. Running on 13v instead of the recommended 16v changes the amps/ watts used. Lower the voltage and amperage goes up. Ohms law. Amps goes up and heat goes up. Heat in cpu etc. 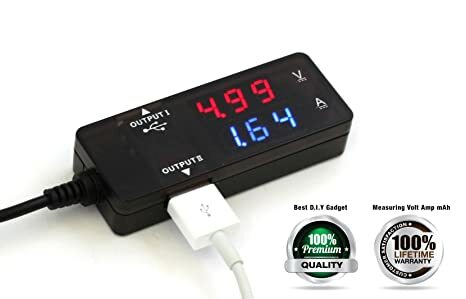 Get a vehicle charger (Lind is top quality)connected to the boat batteries. Connect that to the power supply input. Laptop gets proper voltage and runs better/cooler, lasts longer. The numbers you have for watts used by the mouse are inaccurate as well. To get a proper measurement, it must be measured at the usb port and not at the laptop power source. This is because the laptop converts the input voltage to 5v. There are inherent losses in the electronics when doing any voltage conversion. 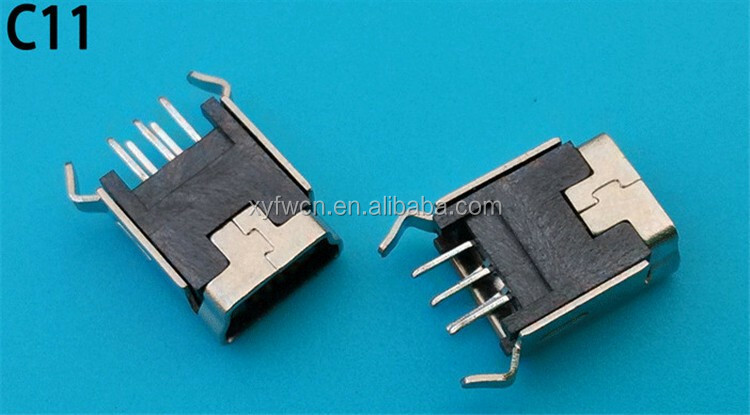 Your .528W figure is based on the laptop input voltage and not the actual 5v used at the usb port. Get a usb power meter and check the reading at the port. The other problem with your current(no pun intended) setup is the voltage at your boats battery changes dramatically when the battery is being charged. Low times it may get to 12vdc and while charging jumps up to maybe 16vdc(depending upon alternator/regulator). While this may "work", it is not the proper way to wire in the laptop and is hard on the laptop circuitry. Usually causes random software lockups or issues as well. Not sure what answers you are looking for at this point. I can tell you the following for sure as I have one complete CF 19, 5-CF19 motherboards and 3 empty housings within 6 feet of me right now. You will need to completely disassemble the CF 19 and Dremel the opening to fit a full size usb port where you want to. Then blow out all the metal shavings and reassemble. Allow at least 4 hours if you have never tore down a CF 19 before. After all that, you will have an interesting time fitting the motherboard back into the housing as the usb port you want to use will hit the motherboard. I have replaced mini usb ports before and there are zero electronics inside the connector. Just 5 pins to connect the 2 data lines and the positive and negative 5v power. No magic. "Laptop gets proper voltage and runs better/cooler, lasts longer." Ten years using my CF-18 directly on the battery boat, without any problem. "Lower the voltage and amperage goes up." Of course because the inner inverter of the computer does its job. This is not Ohm law but constant power. "The numbers you have for watts used by the mouse are inaccurate as well." I'm not interested in the watts used by the mouse, my interest is the total consumption of the computer, energy saving. "The other problem with your current(no pun intended) setup is the voltage at your boats battery changes dramatically when the battery is being charged." This would be true with a lead battery, but my batteries are Lithium Iron Phosphate. When in charge the voltage never goes over 13.8 V. The inner resistance is very low so the voltage is very steady, 99% of the time the voltage stays beetween 13.0 and 13.5 V.
But before I get lithium battery ( almost 4 years now ) it was perfectly working on a lead battery too. "I have replaced mini usb ports before and there are zero electronics inside the connector." Sorry it's my mistake, I was talking about a mini Usb hub, not about a single port. A external hub includes electronic of course. I never will understand why people ask a question when they already know the answer. Or why people ask a question but never listen to the answers they get. Oh well, I guess that's why boards like this have ignore lists. For anyone reading this in the future. Ignore all the volts-watts-amps discussion/disagreement. And ignore all the non relevant information. The important facts are a full size usb port will not physically fit in the location the original poster wants to put it. A mini usb port will fit. The mini port will work fine and can handle the load of small usb devices. Ignore all the volts-watts-amps discussion/disagreement. Except of my post, I insist!